Wooden Christian Radich Tall Model Ship 14"
Wooden United States Coast Guard USCG Eagle Model Ship 7"
Inspired by the Christian Radich, Norwegian merchant marine training ship and tall ship race winner as well as a star of film and screen, this adorable tall ships model cutter rests easily upon any shelf or desk. 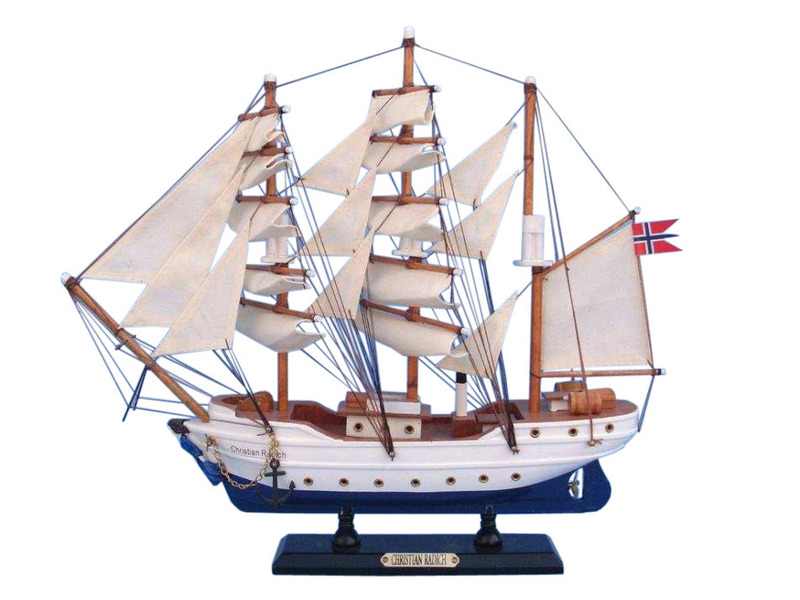 Add a touch of nautical history and patriotic pride to the décor of any room with these tall ships models. Christian Radich is a Norwegian full rigged ship, named after a Norwegian shipowner. The vessel was built at Framnæs shipyard in Sandefjord, Norway, and was delivered on 17 June 1937. The owner was The Christian Radich Sail Training Foundation established by a grant from a cavalry and officer of that name. The vessel is a full rigged three masted steel hull, callsign is LJLM, its homeport is Oslo, and the IMO number is 5071729. The class society is Det Norske Veritas, DNV, and its built to +1A1, E0. The vessel is 62.5 m long, with an overall length of 73 m including the bowsprit and a maximum width of 9.7 m. She has a draught of about 4.7 meters and a displacement at full load of 1050 tons. Under engine power, the Christian Radich reaches a top speed of 10 knots, while she can make up to 14 knots under sail. The crew is 18 all together. It can accommodate 88 passengers. The Christian Radich is well known through the international release in 1958 of the Cinemiracle widescreen movie Windjammer. The Christian Radich sailed to the United States in 1976 as part of the American Bi-Centenial Celebration, and was in at Navy Pier in Chicago, Illinois on July 4th, 1976. The vessel was built for training sailors for the Norwegian merchant navy, and did so for many years. 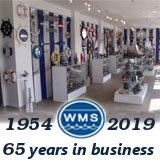 From 1999 and on, the ship has been on the charter market as well as sailing with paying trainees to foreign ports on summer trips, participating in the Cutty Sark Tall Ships' Race and large sail events in various European ports. She won on corrected time in Class A and overall the tall ship in total in 2007,and became the only class A vessel that crossed the finish line.